Phytocannabinoids are useful therapeutics for multiple applications including treatments of constipation, malaria, rheumatism, alleviation of intraocular pressure, emesis, anxiety and some neurological and neurodegenerative disorders. Consistent with these medicinal properties, extracted cannabinoids have recently gained much interest in research, and some are currently in advanced stages of clinical testing. Other constituents of Cannabis sativa, the hemp plant, however, remain relatively unexplored in vivo. These include cannabidiol (CBD), cannabidivarine (CBDV), Δ9-tetrahydrocannabivarin (Δ9-THCV) and cannabigerol (CBG). We here determined pharmacokinetic profiles of the above phytocannabinoids after acute single-dose intraperitoneal and oral administration in mice and rats. The pharmacodynamic–pharmacokinetic relationship of CBD (120 mg/kg, ip and oral) was further assessed using a marble burying test in mice. All phytocannabinoids readily penetrated the blood–brain barrier and solutol, despite producing moderate behavioural anomalies, led to higher brain penetration than cremophor after oral, but not intraperitoneal exposure. 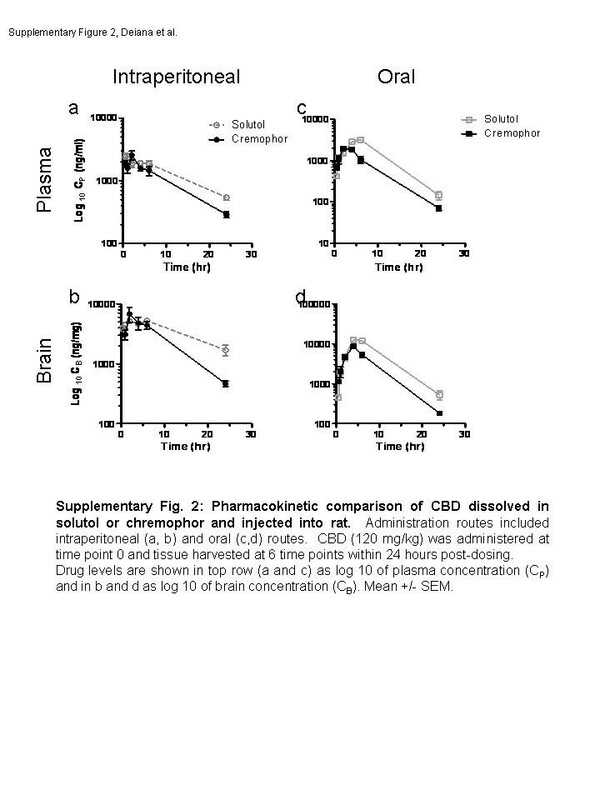 In mice, cremophor-based intraperitoneal administration always attained higher plasma and brain concentrations, independent of substance given. In rats, oral administration offered higher brain concentrations for CBD (120 mg/kg) and CBDV (60 mg/kg), but not for Δ9-THCV (30 mg/kg) and CBG (120 mg/kg), for which the intraperitoneal route was more effective. 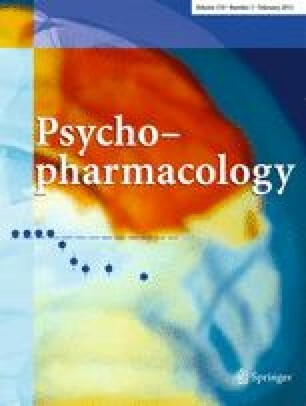 CBD inhibited obsessive–compulsive behaviour in a time-dependent manner matching its pharmacokinetic profile. 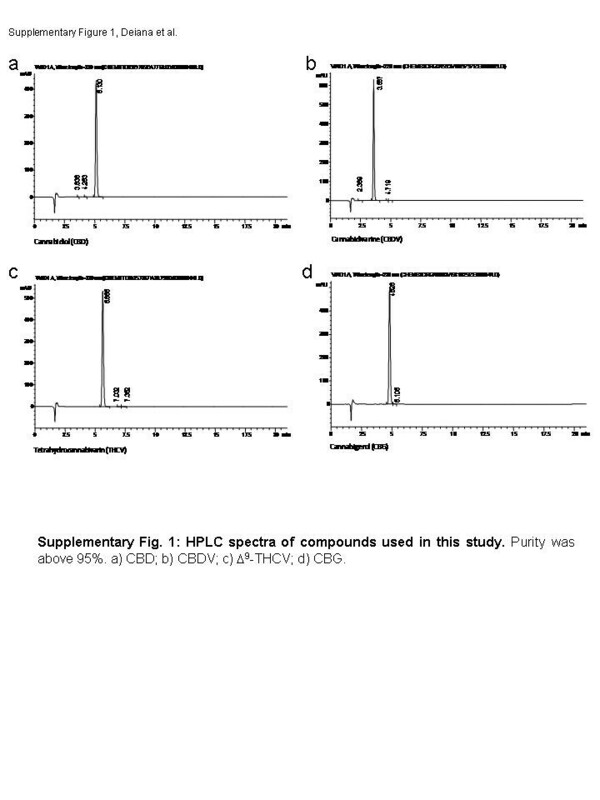 These data provide important information on the brain and plasma exposure of new phytocannabinoids and guidance for the most efficacious administration route and time points for determination of drug effects under in vivo conditions. The online version of this article (doi: 10.1007/s00213-011-2415-0) contains supplementary material, which is available to authorized users. This work was partly supported by a collaboration between GW Pharmaceuticals and Otsuka Pharma. Furthermore, and we are indebted to Drs. T Kikuchi for comments on an earlier draft of this manuscript.